Back in 1993, Precision Shooting Magazine printed a landmark article about the findings of a group of benchrest shooters who turned a huge Houston warehouse into a precision shooting laboratory. The warehouse, owned by Virgil King, included a 325 yard long straight-away through the heart of it, which provided an ideal shooting environment where the breezes never blew, the mirage never shimmered, the sun never set and the rain never fell. So began the most insightful, revealing experimentation into practical rifle accuracy ever conducted. 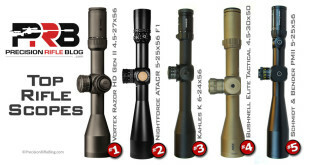 Over a period of six years, the levels of accuracy achieved in the Houston Warehouse went beyond what many precision shooters thought possible for lightweight rifles shot from sandbags and aimed shot-to-shot by human eye. Although the actual Houston Warehouse location is shrouded in mystery, this photo helps us to understand the compelling vision Virgil King had to use his 30’ wide, 325 yard long straightaway in the middle of his warehouse as the ultimate precision shooting laboratory. The Houston warehouse experiments reshuffled the list of what did and didn’t matter in precision shooting. They blew away many myths long held to be fact by the shooting community (some still stubbornly held 20+ years later), and elevated other elements previous thought to be of no consequence. Their findings rocked the shooting community, and continue to enlighten to this day. 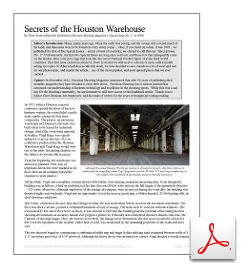 The Secrets of the Houston Warehouse article by Dave Scott became the most popular and most quoted pieces ever printed during Precision Shooting Magazine’s 56 years of publishing monthly issues. Whenever an old copy of the issue containing the article comes up for sell on eBay it sells for hundreds of dollars … seriously. Before Precision Shooting Magazine closed their doors in November 2012, they were receiving a dozen or more calls each month from shooters asking for copies. They eventually decided to republish the article online to save wear and tear on their copier. However, they simply posted the text online without any photos or formatting, and it was on a website with a lot of distracting ads and popups. So, I spent some time formatting the text, added a few graphics and callouts, and converted it into a PDF to make it more printer-friendly as well. Honestly, this article was so helpful to me that I wanted to try and lower some of the barriers to reading it, in hopes that maybe a few more people will benefit from it. It is a well-written, legendary article deserving of preservation, which encapsulates truths the shooting community should still pay attention to. If you are the executive summary type of person, the full 9 page article may be a little heavy. So here are a few quotes from the article that give you some of the major take-aways. If these peak your interest, or you want to call BS on some of them … I encourage you to read the full article. It is worth your time. You have a money-back guarantee. Scope & Rings: Lyman-Siebert 30X scope in Bausch & Lomb rings set on Weaver bases. The rings had been painstakingly lapped so only a tiny amount of crosshair correction was needed to bring the gun on target. Lapping The Barrel: Lapping compound was smeared on the barrel threads, and by applying outward pull, the barrel was lapped into the action threads for full, positive contact. Virgil pointed out that if this procedure is not accomplished, only one thread or parts of one or several threads may be making contact. Anything less than full thread contact is destructive to finest accuracy. During the lapping operation, great care was exercised to align the barrel straight with the receiver. Part of the reason for lapping-in the barrel and receiver threads is to help center the barrel in the precise middle of the receiver. Lapping Alternative: Undercut a 45-degree slope on the inside edge of the receiver ring, leaving about two-thirds of the receiver shoulder untouched and square. Another 45-degree slope, cut farther inside the receiver, terminated at the locking lugs. With the barrel precisely cut to snug up against the two sloped areas, as well as the receiver shoulder, perfect barrel centering became absolute and positive. Bedding: Barreled action was “zero-tolerance” bedded and then glued into the stock. Consistency is everything: After all the thousands of rounds I fired in the warehouse, I developed a technique that was practically infallible. I did exactly the same thing every shot. I was like a machine, and once you find out what works, you don’t change anything. I tried to put my fingerprint on the trigger exactly where my last fingerprint was. Consistency is everything. Shoot free recoil: We discovered that if you want a gun to really shoot, you can’t cheek it, you can’t shoulder it, you can’t hand it, you can’t thumb it. The only thing you touch is the trigger. I didn’t even touch the bench. I planted my feet solidly on the floor and kept them right there. 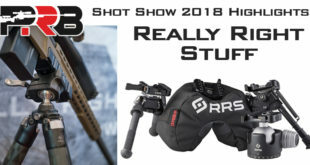 Your shoulder should be 3/16″ to 5/16″ from the stock so you can catch the rifle immediately when it recoils back, otherwise the rifle will get back too far and disturb the rear bag. Rear Bag: The rear bag and the way you manage it is crucial. First, he positioned the rifle on the bench so the stock barely protruded from the “V” of a rabbit-ear bag, then he pounded the stock firmly into the bag. As already mentioned, when the rifle recoils, it’s important that the bag stay put. With proper bag technique, when the rifle is returned to its firing position, any sight corrections should be slight and made by tiny manipulation of the rear bag. The less bag adjustment, the better. The rear bag was packed very firm with casting sand, which is about 33% heavier than common sand. He then applied water and formed the “V” to the rifle stock by pounding the stock into the bag and allowing the leather to dry. Done only once, this step hardens the leather and makes the stock slide smoother. A mixture of equal amounts of talcum powder and white graphite applied to the back and front bags provided smooth sliding of the rifle, even in very humid conditions. Front Bag & Fore-End Stop: He packed the front bag as hard as iron. Here he employed a one-to-three mixture of Portland cement and casting sand. The cement doesn’t set, but it does help hold the bag shape by resisting the twisting force imparted to the fore-end by bullet torque. No side support was used for the front bag. He strongly advocates the pedestal fore-end stop. He adjusted the stop so the front bag supported the fore-end about halfway from the end of the fore-end to the receiver. He said if the bag is positioned farther forward, this part of the stock is too springy, and accuracy will suffer. When resetting the rifle after firing, he bumped the fore-end stop and then pulled the rifle back “one-millionth of an inch.” Contact between the stop and stock tended to deteriorate accuracy. Cleaning: Barrels were cleaned every six shots (one 5 shot group plus a fouler). They found they were able to predict where every bullet would print shot-to-shot, but that only applied if the rifle was cleaned between groups. He used a bronze brush and solvent each time, and at regular intervals the barrel had to undergo a scrubbing with J-B compound to remove solvent-resistant fouling 3″ to 4″ up from the chamber. Outside turn the necks for a total clearance of .0007″ between loaded round and chamber. Since his neck turner left cutting rings, he sanded the necks shiny smooth, which typically resulted in a somewhat widened neck-to-chamber clearance of .00075″. Flash holes were cut identically and chamfered inside. Then, this step could be the most critical – the “tuning” step requiring a sensitive touch and #400 sandpaper. The secret is to get the neck tension (the grip of the brass on the bullet) exactly the same on every case. You do this by firing the case and then feeling the bullet slide in the case neck as you seat it. Here, a micrometer won’t do you any good. Feel is the whole thing. If any case grips the bullet harder than the others, you take three turns over the sandpaper and fire it again, until you get exactly the same amount of seating pressure. After a case has been fired a couple of times, he pressed a tiny groove pressed into the neck with the pressure ring. This will cause a flat-base bullet to “snap” into place when it’s seated. He thought feeling the bullet slide down the neck and then snap into place told him everything he needed to know about whether that round was going to go into the group or not. He would use cases 20-25 times before a case would no longer grip to his satisfaction. You can change the powder charge slightly, and it won’t really make any difference, but if you change the bullet seating depth or the grip on the bullet, you’re going to see bad things happen fast. To get a good sense of bullet seating pressure, Virgil seated bullets in a Wilson straight-line tool BY HAND — not arbor press. He estimated that the seating pressure on his hand was moderate — perhaps 15 pounds. If seating requires significantly more pressure, the operation damages the bullet’s fragile pressure ring, bulging your groups. If the seating pressure is too light, he said you’re assured a mediocre .250″ rifle. He never used chronographs. As long as the bullet went in the same hole as the previous one, it didn’t make any difference how fast it was traveling. Powder charges, as long as they were fairly consistent and bracketed within a couple of grains, were not important. He threw all of his charges with a Belding & Mull powder measure, and for one experiment he shot groups using three different powder measure settings (51, 52 & 53) … all three groups were identical. Lot variation in powder didn’t seem to have any effect on accuracy, even on when using IMR 4198, which has a reputation for varying considerably from lot to lot. He would just buy powder as he needed instead of laying in a big supply, because he found no evidence to support that powder lot variance affected accuracy in the least. He never saw an inaccurate primer, and was unable to detect any accuracy variances resulting from seating pressure. 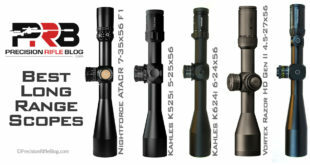 Rumors have persisted for years that some rifles shoot proportionally better at 200 yards than 100 yards, or vice versa. Virgil files that one under “occultism.” His experience in the warehouse was, if a rifle was shooting a consistent .100″ at 100 yards, it shot a consistent .200″ at 200 yards. He did NOT uniform primer pockets or turn the case bases. He also did NOT size his case necks. They were able to rate the relative accuracy of various benchrest calibers. Under the perfect warehouse conditions, the .22 outshot them all, followed closely by the 6mm. Common .22 and 6mm benchrest cartridges are pretty well over the hill at 1,000 rounds, and may noticeable accuracy deterioration may begin at about 700 rounds. Next How Do Rangefinders Work? can you use a small[brenchmark] rifle primer on a 7mm rm cartridge to reduce felt recoil or is it dangerous? In the ‘Other Tips’ it says “.22 and 6mm benchrest cartridges are pretty well over the hill at 1,000 rounds”. I’m guessing the word cartridges should be barrel? Or did you mean to say cartridges? If so, then I am missing something as I wouldn’t expect a cartridge to last that long. From his experiences and those of others, Virgil estimated that stainless steel barrels chambered for the common .22 and 6mm benchrest cartridges are pretty well over the hill at 1,000 rounds. But the finest accuracy sharpness of a barrel departs much sooner. Noticeable deterioration may begin at about 700 rounds. 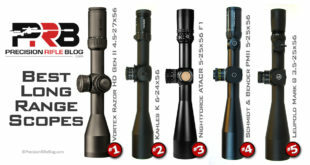 He admitted these figures could vary widely for obvious reasons reflecting barrel care, cleaning technique and cartridge velocity levels. I tried as much as I could to not change his words so that I didn’t change the meaning. I agree it is kind of confusing. He absolutely is referring to the barrel being worn out. Hope this helps. Cal, you did an excellent job of summarizing and underscoring the important points of the Houston Warehouse story. I appreciate your graphic efforts, including the facsimile of the warehouse. Well written. When I interviewed Virgil, I was bitterly disappointed to learn that photos of the groups and warehouse setup were not available, although a few of the groups had at intervals been pictured in the pages of Precision Shooting. Otherwise the article would have been loaded with photos. Even though it’s now been 22 years since you wrote that article, there is still a mountain of things we can learn from it. It challenges so many “unquestionable truths” that are still being passed around the shooting community as gospel. How many articles can you say that about that were even written 5 years ago?! It’s something special for sure. But on a more serious note, thanks for all the time you put into forwarding our sport. It takes an immense amount of time and effort to write such technical and data-heavy content in an engaging and approachable way. I’ve had a few readers comment that my approach sometimes reminds them of the articles they used to read in Precision Shooting Magazine. 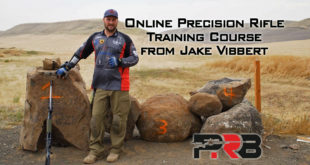 I don’t know about that, but I consider it a high honor to even be mentioned in the same sentence as Precision Shooting. If I can contribute 1% of what authors like you did to the shooting community, I’ll consider my writing career an overwhelming success. Thank you for your passion that continues to inspire so many, including me. 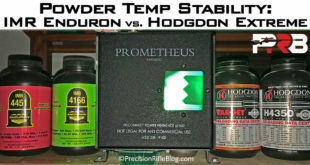 yes and no.. yes, at short ranges, powder drop consistency dont mean much..
That seems to be the common view, but it’s hard to argue with guys who actually fired 0.025″ groups. I bet those groups would still be pretty good at distance too. You typically see vertical stringing appear at short range if you have large variations in velocities, but it doesn’t sound like they were getting much stringing! So I totally hear what you’re saying, Russ … but I just can’t say I know better than these guys. I’m going to have to defer to Virgil on this one. I think there’s a little confusion right here. Remember guys the difference between accuracy and precision. Someone shooting at long range is trying to land his shot on the target so This guy is shooting groups at a 100 yard, it’s all about accuracy, the trajectory difference due to muzzle velocity variation is not as punishing as for long range shooting because a lot of variables start to appear at long ranges and everything is amplified (change of the BC…). When you shoot groups, you are trying to replicate the trajectory of the previous one, you don’t care about external ballistics as long as they are the same for each shot where as, in Cold bore shots you are trying to calculate the trajectory on a given external variables. Also, at the same case temperature (same burning rate), if the load has a powder variation the velocity change is minimal. But on a cold bore shot, the temperature of the case is certainly not the same as the one on your ballistic function so the velocity change is amplified. It’s pretty hard to explain, but I tried… at least. Thanks for the really good article. Thanks for the thoughts, Elliot. Certainly seem applicable. There is a big difference between shooting long-range and shooting for group size at 100 yards. At the same time, there is a lot of things we (as long range shooters) can learn from these guys. It sounds like you think that too, since you saw this as a “really good article.” I think it’s a classic. One of the best articles of it’s kind. I still find myself going back and reading it again and again. It’s great content, and more than that David Scott is an excellent writer and he captures your imagination. You can almost feel what it’d be like to be on the scene with those guys in the warehouse, as they’re learning. I love the “question everything” and “let’s see what really matters” experiments that these guys pursued. It’s an inspiring story. In response to David’s closing line in the article: “that parting shot from Virgil King ought to give you something to think about.” Yes it has! I found this experiment to be fascinating. Seems like the only true way to do something like this. With no climate influence to screw things up. The part I found especially interesting is that the .22’s performed better than the 6mm’s. How can that be? I always wondered. Guys start out shooting .223’s then as they gain experience and a bank roll. They immediately move on to the 6’s and never look back. I want to follow this thread and try some of the things that have been talked about here. I’m just a poor boy with a Savage action and a .223 McGowen barrel. It would make my day to beat some of my friends with custom actions and 6PPC’s. We can dream anyway. Glad you found this interesting, John. I still go back and reference it occasionally. It’s a great, timeless article. Perhaps the 22’s performed better because of the special environment they were in. 6mm’s could have an advantage outdoors. There is certainly a reason virtually everyone in the benchrest world uses a 6PPC. I’m not a benchrest guy, so I couldn’t speak to that. But it is interesting to think about. I’ve been thinking about making/cutting a narrow corridor through my parent’s woods for this purpose. I could easily get 300-400 yards without too much effort. It wouldn’t be perfect, but it shut would be better than the hayfield and pastures that I currently use on top of a windy hill. Maybe this summer I’ll get on it. You should do it, Gary! I’ve personally been thinking A LOT about building a 100 yard tunnel. In fact, I got a quote on the materials back this week. For 48″ concrete pipe, it was ridiculous. But I’ve thought of a few other more affordable ways of going about it. I was hoping to find an oilfield company who had 48″ poly pipe sitting on their lot that they’d like to liquidate now that oil prices are so low, but no such luck. I may have to go to a government auction to find a good deal. Honestly this article just keeps coming to mind, and I think that will continue until I build it. It sounds like you have that bug too! What do you think he meant when he said he got his 22ppc to ‘arc’ ? What do you think he did differently in the case prep? 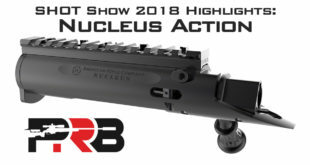 What kind of groups do you think he’d shoot if his rifle was put in a rail gun stock? What happened to the warehouse, and has anyone tried (and succeeded to) recreate it since? Ha! Jim, all great questions … but my answer to all of them is “I have no idea.” It’s not that I haven’t thought about it. I do think about it, especially the case prep cliffhanger they ended on. And I’ve certainly thought about recreating it. Anytime I see a large warehouse, I promise “Houston Warehouse” is on the tip of my tongue. I’ve thought about building tunnels and actually got a quote back this week on the materials. They’re stupid expensive, and not as good as what this was. This was just an awesome environment for testing. I wish I could have been there! And I wish I could be more help on your questions. Maybe someone else will chime in with some answers. 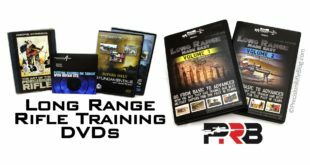 Pingback: Indoor rifle ranges - 100 yard minimum?